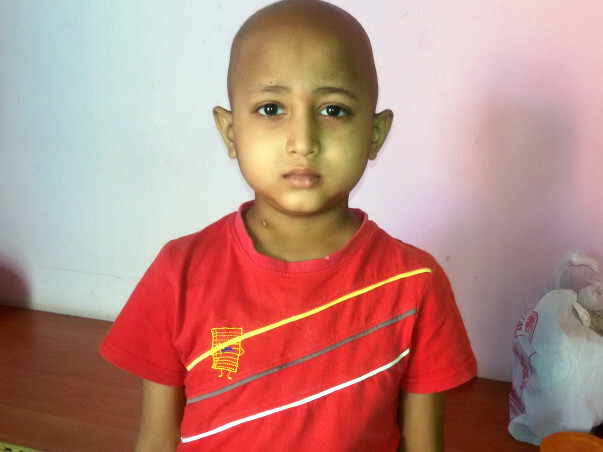 Dhanvanth a 7-year old boy has been fighting against cancer since last August. He has been running around many hospitals in Bangalore but all in vain. He was finally admitted to NH for a BMT transplant, which costs them around 32 lakhs in total, also they might incur more expenses based on the complications post the surgery. He is currently undergoing chemotherapy at NH. He is under heavy dose of medications and has become really quite, he seems depressed and does not talk much. His father Prasanna works at a bakery and earns around Rs 12,000/- per month. 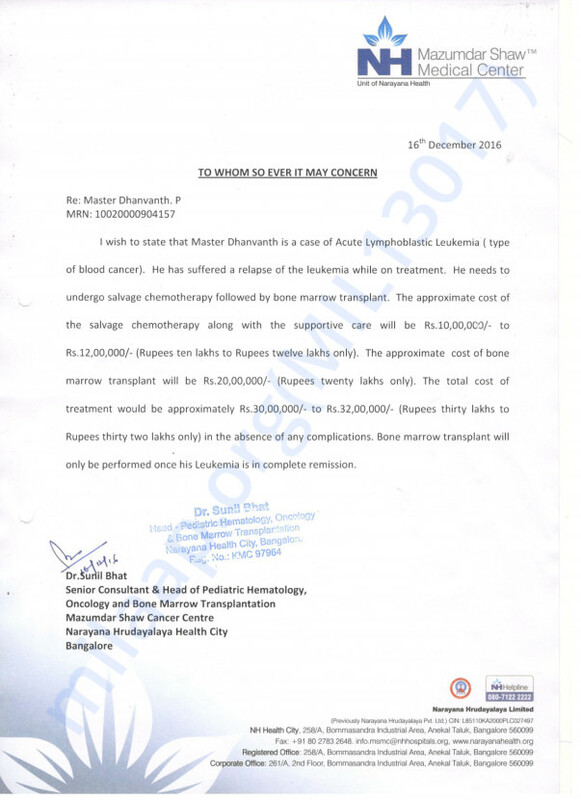 Despite the low-income he has managed to arrange 6 lakh rupees for Dhanvanth's treatment. 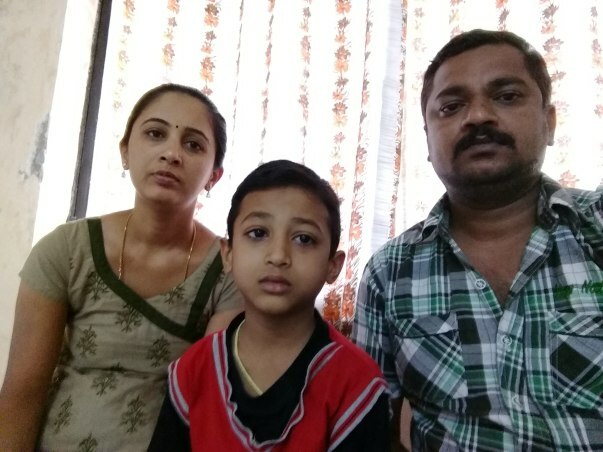 He has already taken a loan of 1.5 lakhs, spent his savings of 3 lakhs and has borrowed a 1.5 lakhs from his father in law for the initial medical treatment. Thank you for your wonderful love and support. We shall forever be indebted to you. With inexplicable grief, I'm having to inform you all that Dhanvanth passed away on the 14th of November, 2017. He underwent the transplant on the 30th of April, 2017. We are greatly saddened by his demise. He stopped responding to the medication and started having complications which eventually worsened his health. We have some good news to share with you. Dhanvanth successfully underwent the Bone Marrow Transplant in May. He was discharged on 1st June from the hospital. Initially he had mild side effects like fever but he is doing well now. He visits the hospital once in 2 weeks for routine checkups.